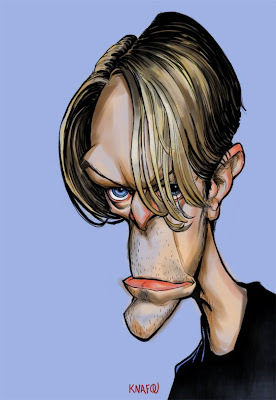 Decided to try and color the Bowie in Photoshop. I haven't decided if I'm satisfied yet. Nice, kind of looks like Golum. btw, love your header art. Is that animal the drawing from the trip we took to Sanford zoo that one day? This is REALLY nice, Ken. Finish it up, buddy.